A suicide safety plan is a written set of instructions that you create for yourself as a contingency plan should you begin to experience thoughts about harming yourself. It will contain a series of gradually escalating steps that you will follow, proceeding from one step to the next, until you are safe. If you have depression, whether it has been diagnosed by a healthcare provider or not, there is a very real risk that at some point in the course of the illness you may experience thoughts of suicide. While the emotional pain that has triggered these thoughts may feel overwhelming, it does not mean that you will lose control or act on your thoughts. In fact, having a suicide safety plan in place is one method you can use to cope with your bad feelings until circumstances change. You should work together with someone you trust—such as your best friend, a close family member or your doctor or therapist—to develop your suicide safety plan. It is best to get these people involved since you will most likely need to call on them if you decide to execute your plan. Try to create the plan while you are feeling well and can think clearly, rather than waiting until you are actively suicidal. Put your suicide safety plan in writing and keep it in a place where you can easily find it should the need arise. Your suicide safety plan should include several steps, and be written in the order presented below. An example for each step is given to help you think about what that step means for you. The first step in creating your suicide safety plan is to familiarize yourself with the types of situations, images, thoughts, feelings, and behaviors which might precede or accompany suicidal urges for you. List these warning signs so that you can refer back to them when deciding whether to activate your plan. It's also helpful to familiarize yourself with some of the risk factors for suicide in order to recognize these warning signs if present. Examples: "When I feel suicidal, I tend to isolate myself and not take good care of my health." Or: "Suicidal thoughts are often triggered for me when I am reminded of my childhood abuse." What Can You Do to Calm/Comfort Yourself If You Are Feeling Suicidal? Create a list for yourself activities which can be soothing to you when you're upset. If you can't think of any examples off-hand, you may wish to brainstorm and try some of the mind-body methods which have helped others. Or take a look at ​different ways to reduce stress to see if any of these methods might be helpful. Create a list of your reasons for living. When you are feeling suicidal, it is very easy to get caught up in the pain you are feeling and forget the positives in your life. Your list will help you refocus your attention on the reasons to keep going until your suicidal thoughts and feelings pass. Some people with or without depression find that keeping a gratitude journal is helpful. 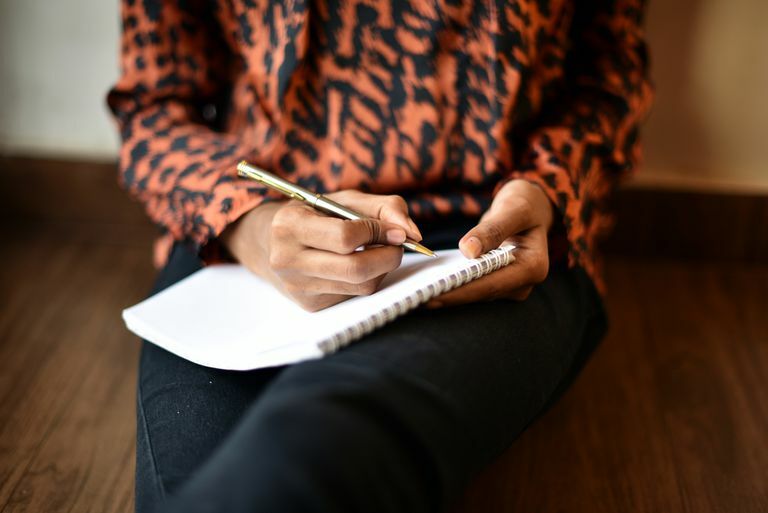 If you find yourself feeling suicidal, looking at what you have written may help you focus on the positives in your life until the feelings pass. Keep a list of contacts you can talk to if you are unable to distract yourself with self-help measures. List names, phone numbers or other contact information and be sure to have backups in case your first choice or two are unavailable. Who Can You Talk to If You Need Professional Assistance? Create a list of all professional resources available to you, along with their phone numbers, email addresses, and other pertinent contact information. This is also a good place to keep a number for a crisis hotline. If you haven't yet seen a mental health professional, take a moment to learn about the different types of therapists who care for people with depression and make an appointment today. How Can You Make Your Environment Safe? Plan what steps you can take to make yourself safe. This may involve removing or securing any items that you are likely to use to hurt yourself, or going to another location until the urges have passed. It may also involve getting another person involved to help you. Examples: "When I am feeling suicidal, I will ask my brother to keep my guns at his house." Or: "When I feel like hurting myself, I will go to a public place, like a mall, restaurant or library to distract myself." What Can You Do If You Are Still Not Feeling Safe? If all other steps have failed to keep you feeling safe, go to your nearest hospital emergency room and ask for assistance. Keep the name, address and directions to the hospital listed in your plan for easy access or save it in your GPS. If you do not feel that you can get to the hospital safely on your own, call 911 or the emergency contact number appropriate for where you live and ask for transport to the hospital. Many people with depression have friends who are coping with similar challenges. This could be a friend you have met in a depression support group, or simply a friend or family member you have known for a long time. After all, depression is very common. After you have completed your own safety plan, encourage others who are coping with depression to likewise create a plan. If you have a friend who has suicidal thoughts, check out these tips from top suicide prevention organizations on what to do when a friend is suicidal. If you begin to experience any of the warning signs of suicide listed in your suicide safety plan, proceed through the steps you have previously outlined for yourself, one by one, until you are feeling safe again. An exception would be if you are feeling out of control and are strongly thinking of suicide. In that case, it is best to call either a trusted friend who can be with you immediately or 911. While you will likely have your suicide safety plan in your home, there are now smartphone safety plan applications which you can take with you anywhere. These apps may be of particular benefit for younger people and those in regions where suicide support options are lacking. At the current time, however, we lack information on how helpful these apps may be and some apps have been found to have potentially dangerous content. Plans such as "Safety-Net" appear to be more comprehensive, but it's important to talk to your mental health professional as to whether she recommends one of these apps, and if so, which one she feels is best. Andreasson, K., Krogh, J., Bech, P. et al. MYPLAN – Mobile Phone Application to Manage Crisis of Persons at Risk of Suicide: Study Protocol for a Randomized Controlled Trial. Trials. 2017. 18:171. Kennard, B., Bjernesser, C., Wolfe, K. et al. Developing a Brief Suicide Prevention Intervention and Mobile Phone Application: A Qualitative Report. Journal of Technology in Human Services. 2015. 33(4):345-357. Larsen, M., Nicholas, J., and H. Christensen. A Systematic Assessment of Smartphone Tools for Suicide Prevention. PLoS One. 2016. 11(4):e0152285. Ward-Ciesielski, E., Tidik, J., Edwards, A., and M. Linehan. Comparing Brief Interventions for Suicidal Individuals Not Engaged in Treatment: A Randomized Clinical Trial. Journal of Affective Disorders. 2017. 222:153-161.